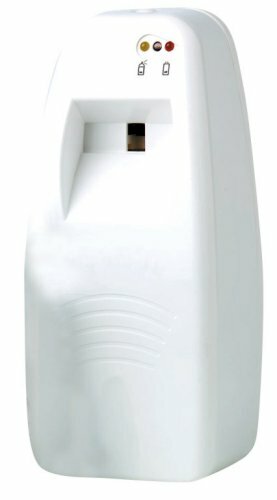 Nilotron's Automatic Aerosol Dispenser provides continuous 24 hour odor control. Use to control odors in pet shops, kennels, vet clinics and grooming shops. This dispenser works with the following refills: The Nilodor mood sense refills, the Nilodor Holiday Scent, the Nilodor Metered refills, the Nilodor Reminiscent refills, the Country Vet Fly Spray, the Country Vet Super Odor Neutralizer, the Country Vet Air Sanitizer, and the Country Vet metered refills. I needed something to make my basement smell better.